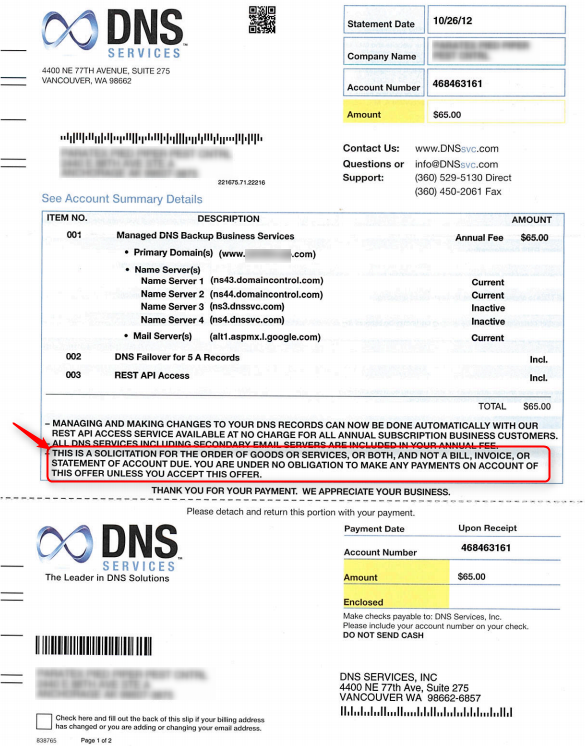 Do not pay a bill received from DNS Services. 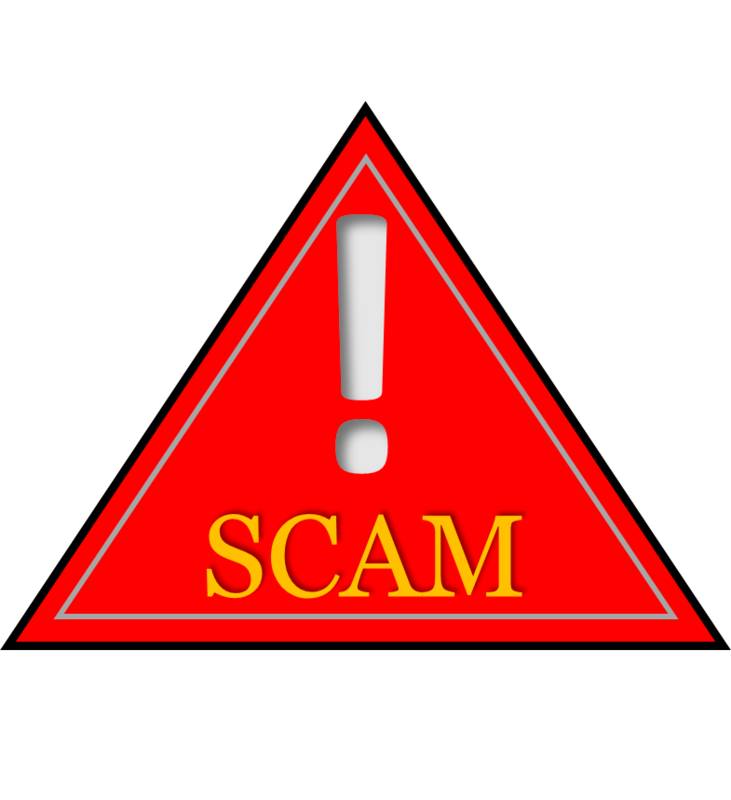 This is a SCAM to get you to pay for fake backup domain name services. The invoices appear legitimate because they list the name servers and mail records from your actual domain registrar or web host. Unfortunately, this deceptive tactic is legal because it adheres to the U.S. Postal regulations by providing a clear disclaimer for a bill-type solicitation. Don’t attempt to contact the company which just verifies your contact information. These types of scams have often already been flagged by the Better Business Bureau and Webutation.net. When you receive an invoice for technology services or products from an unknown company, don’t pay it and check with your IT support for verification.